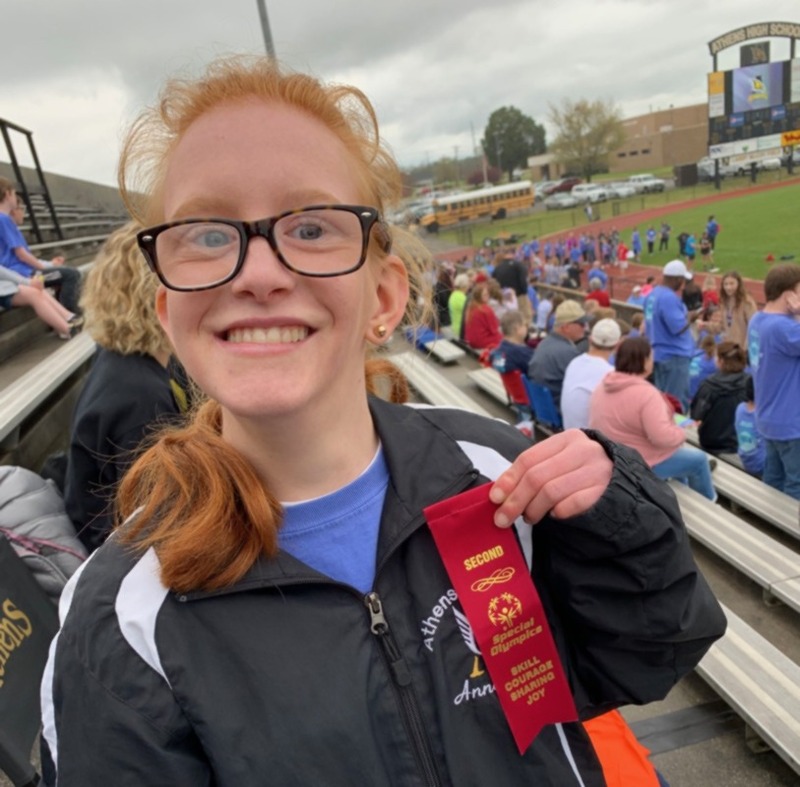 Anna Lee “The Southwind gal” participated in the Limestone Co. Special Olympics today and placed 2nd in Shot Put. She also competed in the mini javelin. Here’s an easy traditional Irish tune to play for St. Patrick’s Day. You’ll recognize the tune as The Streets of Laredo (1876). Jerry and Louise spent Tuesday morning at Brooks Elementary helping Mrs. Debbie Seay’s 5th and 6th graders complete their canjos. They had a worksheet requiring them to measure fretboard and spaces between frets, as well as other info. They attached and tuned their string, tuned and then played the Cabbage song. Some of these students were also in her dulcimer classes. 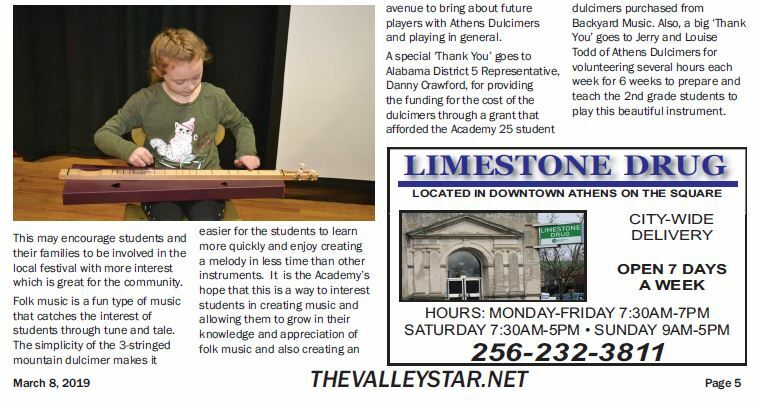 We had a short time to play a few tunes, demonstrate the limberjack toy, “Farmer Slim”, and demonstrate how the early dulcimer players played with a noter and feather. 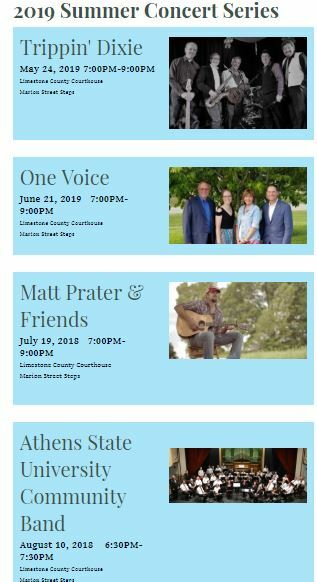 Special thanks to Debbie for the effort to provide activities like this and also the trip to the Capitol Building to play the dulcimers celebrating the Bicentennial of Alabama. 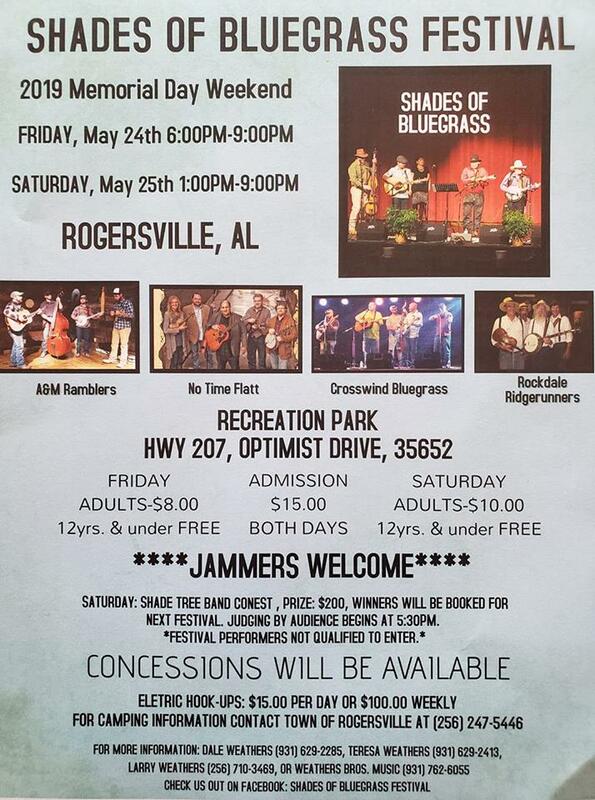 As part of Alabama’s Bicentennial celebrations each Thursday in February and March a different musical performance from an Alabama Public School is featured. 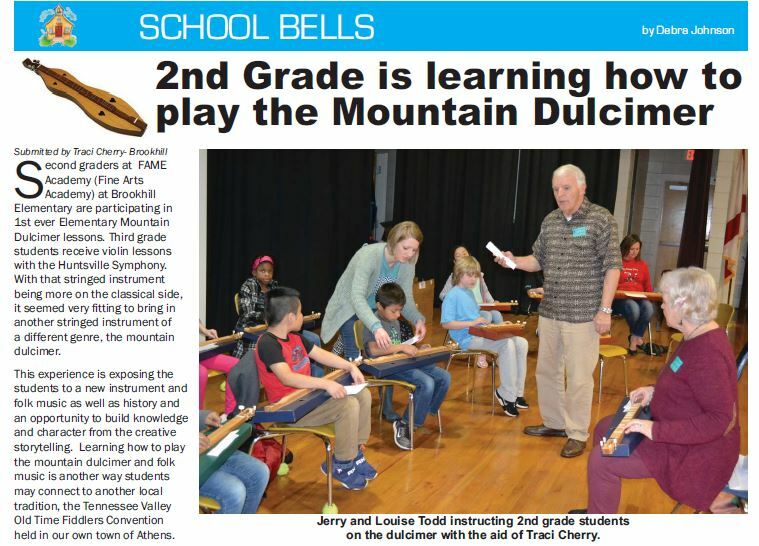 On 28 February 2019 Brooks Elementary dulcimer group from Killen, Alabama was invited to play at the state capitol as part of the Alabama Bicentennial Performances. Governor Kay Ivey was in attendance. Mrs Seay is the music teacher who taught the children.